Caterer Goldy Schulz’s lucrative new gig, preparing breakfasts and conference room snacks for a local law firm, is time-consuming, but she’s enjoying it . . . until the night she arrives to find Dusty, the firm’s paralegal, dead. The deceased also happened to be Goldy’s friend and neighbor, and now Dusty’s grieving mother is begging Goldy to find out who murdered her daughter. Just because the police are on the case doesn’t mean Goldy can’t do a little snooping herself. Before long, Goldy finds herself knee-deep in suspects. But one of them is incredibly dangerous . . . and very liable to cook Goldy’s goose. 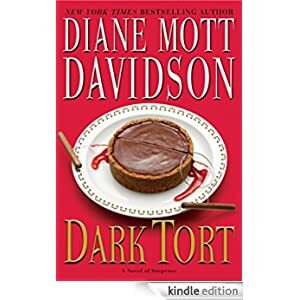 Buy this cozy culinary mystery for only $1.99 today.